Hey, y'all! I am so excited about today's post! 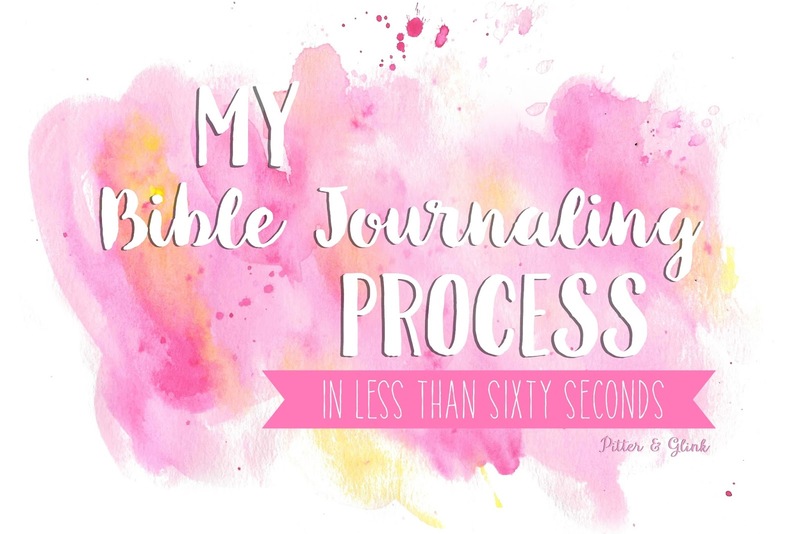 If you follow me on social media, you probably know I love Bible journaling. A few weeks ago I recorded a Bible journaling process video, and I am thrilled to finally have it edited so that I can share it with y'all today! This video shows you how I use watercolors, acrylic paint, and stickers to illustrate Proverbs 3:5-6. One of my most favorite supplies to use when I Bible journal is a cheap set of watercolors. I love how translucent the paint looks on Bible pages, and it's a lot more forgiving than acrylics. Yes, you do get your Bible page wet when using watercolors, but if you're careful, the water will do nothing to the page other than make it wrinkled when the paint dries. I have a remedy for this though: place a couple of heavy books on your shut Bible, and the page will flatten in no time! Check out how I use watercolors in the video below. 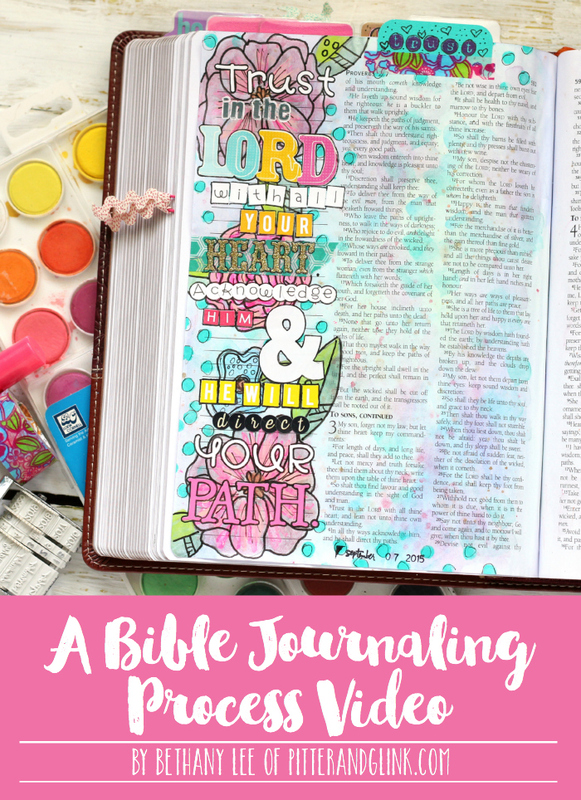 Journaling Bible--This is the exact Bible I have, but you can get other translations and styles. Watercolor Set--This set looks comparable to mine. Martha Stewart Craft Paint--I used Date Night Pink, but it's not included in this set. You can get many of the supplies in craft stores as well as online, but make sure to check for coupons online before shopping at your local craft store so that you can get the best prices possible on the supplies you buy. I hope that seeing my process for this page inspires you to try some new techniques in your Bible. 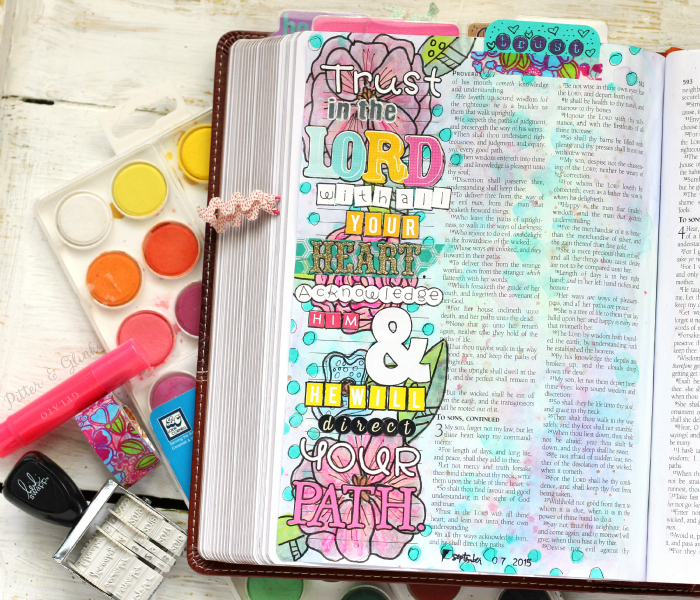 Just remember, your pages don't have to be perfect, and you don't have to be an amazing artist to Bible journal. 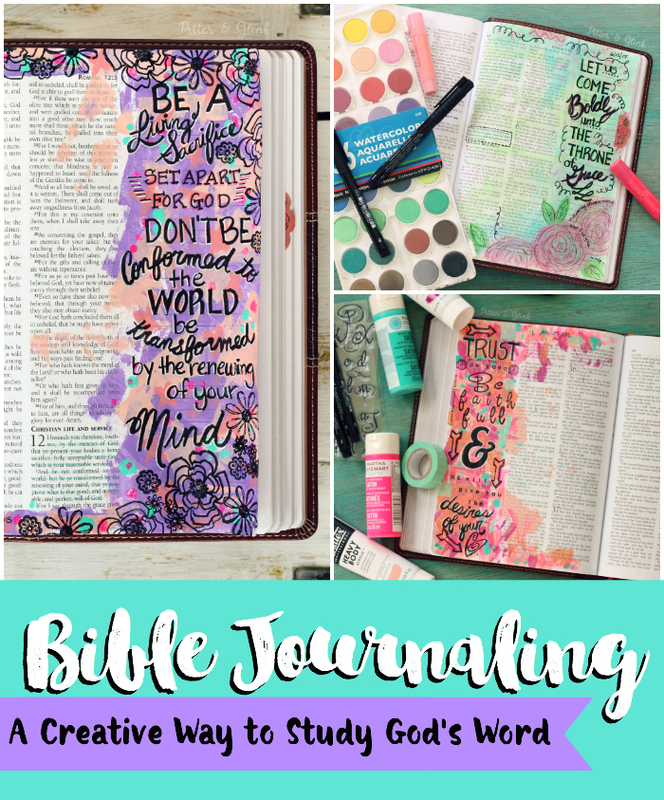 Yes, creating pretty art on your pages is fun, but Bible journaling is about spending time in God's Word. So go have fun creatively worshipping! Thanks for the process video! I always love watching them. Plus, it is always nice to know that not everyone is super artistic but can still make beautiful pages! What a beautiful page! Love watching you creating the page. Thanks for the inspiration!